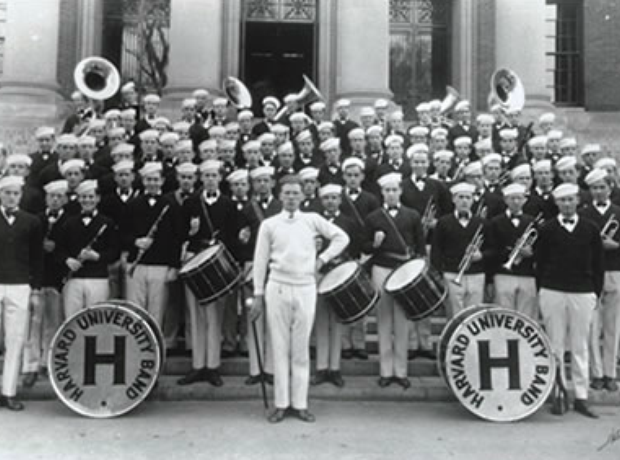 Anderson - pictured centre - led the Harvard University Band and conducted and arranged for dance bands around Boston. His arrangements came to the attention of Arthur Fiedler, conductor of the Boston Pops Orchestra, who asked to see Anderson's original compositions. Fiedler's recordings of Anderson's 1938 'Jazz Pizzicato' went on to become one of the composer's signature works.